“Judith is a warm, compassionate Divine Healer who brings a deep sense of Self and presence to her work. 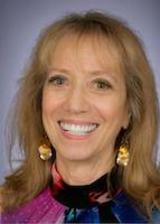 Her compassionate ear and open heart help her clients to immediately feel at ease.” – Chris B. My journey began many decades ago as a recipient for energy healing, acupuncture, homeopathy, and chiropractic. I realized at an early age that healing the source of dis-ease, not just the symptoms, was the path for me. Prayer and meditation are part of my daily life, and are an integral part of Divine Healing. I am also a Minister with the Universal Life Church and a respected member of the Christian Business Fellowship Association and the Holistic Chamber of Commerce. I have been a transmitter for Divine Healing since the late 1990’s beginning with my practice as a licensed massage therapist in Texas. I found myself in prayer and meditation, moving my hands as Guided. Upon placing my hands over knots and tight muscles, heat and energy emerged from my palms and the knots and tightness disappeared! At that time I became certified in Reiki I and II. Although I am still a licensed massage therapist, I now only act as a conduit for [your] healing (as described in the “What is Divine Healing?” section). From Reiki, the healing changed to holding onto the client's ankles while in prayer and mediation for the Energy transmission. In 2012 it changed again where the energy comes out of my eyes. I do not manipulate or move a client's energy fields like other modalities. Instead, the Healing Energies flow within my body and then out the eyes. Hence, I need to keep all my "energy highway lanes" from being blocked so there is no "bottleneck" of energy and less efficiency in the Healing. I need to eat a certain way and at certain times, and drink 26 glasses of hot water each day. I choose to live in Divine Will and not my Ego's Free Will. It is a passion for me and my life's purpose. ("If we wish to make any progress in the service of God we must begin every day of our life with new eagerness. We must keep ourselves in the presence of God as much as possible and have no other view or end in all our actions but the Divine honor." - Saint Charles Borromeo). People come to me to help reduce or eliminate intense pain or the simple aches and pains of everyday life, to relieve stress and anxiety, to cope with bereavement, help with depression, or just to find a little quiet in a safe haven. More often, people come to get more deeply in touch with their inner voice and be more focused on their life purpose. My mission is to help others reconnect to their Inner Holiness and the wisdom, joy and peace that are already within them. By helping to restore the balance of the physical and subtle bodies, it is then possible to see more clearly the road ahead and understand what life lessons we are experiencing. We would then be free of the past and empowered to create a bright future, unfolding the latent gifts and talents that lie dormant within. Please note that there are no quick fixes. Be patient. Desires and expectations for quick and certain results and cures will make you frustrated and block you from your own healing. You should be aware the result you receive may be different from someone else. Everyone is different and responds in a different way. As with other healing modalities, I do not make any promises, warranties or guarantees about the results of the sessions. I do not know The Divine's plan for your life. I am not a medical doctor and do not practice medicine. I do not make medical diagnosis, prescribe any medication nor directly treat any physical or psychological ailment. Any change on the physical level is secondary and a result of work on the subtle energy level directed by The Divine. At the request of several clients, I now offer muscle testing for nutrition and supplement guidance. Information obtained from client’s Inner Holiness includes: highest priority if a food item need be organic, how many ounces per meal for optimum digestion and how many times per week is ideal. Supplement guidance includes: if another brand is of a higher priority than the one taken, if supplement needs to be taken at all, and dosage. Muscle testing revealed that most clients needed nutritional supplement(s) from a company that manufactures its products in an FDA-registered facility located in the USA. These are high-quality, plant-based, pharmaceutical-grade cellular nutritional supplements. Products include vitamins/minerals; and also those that enhance the function of cardiovascular, nervous, endocrine, skeletal, digestive systems and cellular functions. Because of this finding, I am pleased to now be able to provide these supplements if, and/or when, they are requested. I am very grateful to my Inner Holiness for the love and trust of me and the gift that has been bestowed upon me. Thank you.